Spectacular sub-topfloor position with sweeping views along the St Lucia reach of the river to the Brisbane CBD Skyline – imagine coming home to mountain views and the glow of the city lights at night ….. ‘picture perfect’! With the CityCat just a four-minute walk away, this spacious tenth floor apartment is beautifully presented and put simply, has it all! Upon your viewing, you will note just how ‘renovated with love’ this level 10 residence is. Everything from the kitchen (as recently as May 2018), ensuite and laundry have been refurbished and refreshed. Step inside to enjoy living-dining areas that are spacious and free flowing, three well-appointed bedrooms, ample storage, Bosch oven/cooktop, Bosch dishwasher and newly installed roller blinds allowing you to adjust the light levels to your desire. The main bathroom presents beautifully with a brand-new vanity and bath, and an open plan laundry area containing plenty of storage space. A separate toilet is also featured in this wing of the apartment. Prestigious ‘Riverford’ is positioned on over 50m of frontage to the Brisbane river. Set in an open green setting of gardens and lawns with the compliments of a luxurious pool plus a large recreational area for those who love to entertain. 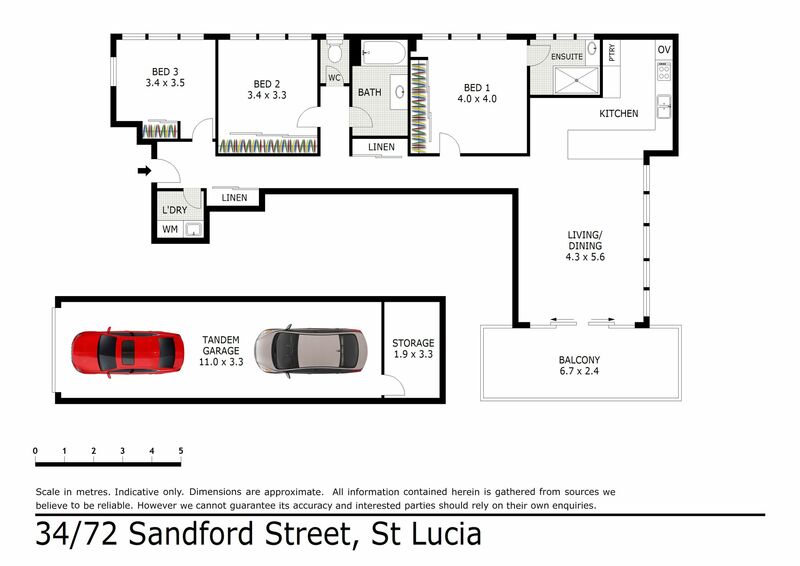 This exclusive building offers security and a premium lifestyle in the heart of sought-after suburb, St Lucia. It’s all class with all the work done! The current owners have loved their time here and have just relocated to a retirement village with medical support and help, so reluctantly, it’s time to sell up. Don’t miss this one! This is your opportunity to enjoy the lifestyle you have always wanted in a premium location. Inspect today!